Sufficient intake of fortified dairy products is of significant importance for the serum vitamin D level in primary school children, shows a new study from the University of Eastern Finland. Children who drink at least three glasses of milk per day had a higher serum vitamin D level than their peers who drink milk in lesser amounts. The use of vitamin D supplements was also associated with a higher serum vitamin D level. Furthermore, children who exercise more than 2 hours per day had a higher serum vitamin D level than children who exercise less than 1.5 hours per day. The article “Determinants of Serum 25-Hydroxyvitamin D Concentration in Finnish Children: The PANIC Study” was published online in British Journal of Nutrition and was selected as the Nutrition Society Paper of the Month for January 2016. Read Paper of the Month blog post. Very few children had severely low serum levels of vitamin D. However, 20% had a serum vitamin D level lower than 50 nmol/l, which is often considered as a sufficient level. Children whose blood samples were taken in the autumn had the highest serum vitamin D levels. This may be explained by the fact that in the summer, vitamin D is formed on the skin due to sunlight exposure. In northern latitudes, there is not enough sun exposure to maintain sufficient vitamin D levels in the winter season, and vitamin D supplementation is often required. A sufficiently high serum vitamin D level is associated with better bone health and there is some evidence that it may also be associated with a lower risk of many chronic diseases. More than 80% of the children had a lower intake of vitamin D from food and vitamin supplements than recommended 10 μg per day in Finland. Furthermore, as many as 40% of the children did not use any vitamin D supplements at all. 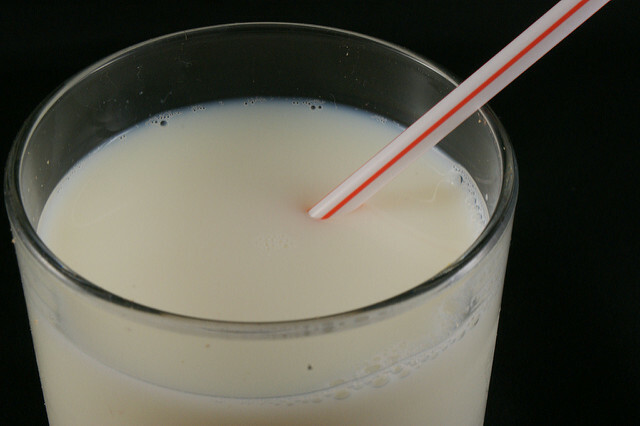 Milk was the most important source of vitamin D, amounting to nearly 50% of the children’s intake. Approximately 30% of the vitamin D intake was from dietary fats and approximately 10% from fish. The majority of milk products and spreads available in Finland are fortified with vitamin D. The level of fortification of milk has been increased from 0.5 µg/100g to 1 µg/100g since the collection of the study data and therefore we suppose milk is even more important source of vitamin D in Finland at the moment. Vitamin D fortification of milk products could be an effective way to improve vitamin D status also in other countries where milk consumption is high. The Finnish nutrition recommendations published in 2014 recommend a vitamin D supplement of 7.5μg per day to all 2-18 year old children and adolescents all year round. In addition, 5-6 dl (2.5-3 glasses) of dairy products fortified with vitamin D per day and 2-3 servings of fish per week are recommended. The diet should also contain vegetable oil based spreads which are fortified with vitamin D. Moreover, sufficient exercise – and especially exercise taking place outdoors – should be encouraged among children. The Physical Activity and Nutrition in Children (PANIC) Study is an on-going lifestyle intervention study in the Institute of Biomedicine at the University of Eastern Finland. A total of 512 children aged 6 to 8 years participated in the baseline measurements in 2007-2009, constituting a representative sample of their age group. The PANIC Study produces scientifically valuable information on children’s lifestyles, health and well-being. The next follow-up round will begin in early 2016.